Do you have a first aid kit at home? Do you know what items you should take on day trips, holidays or in your car? 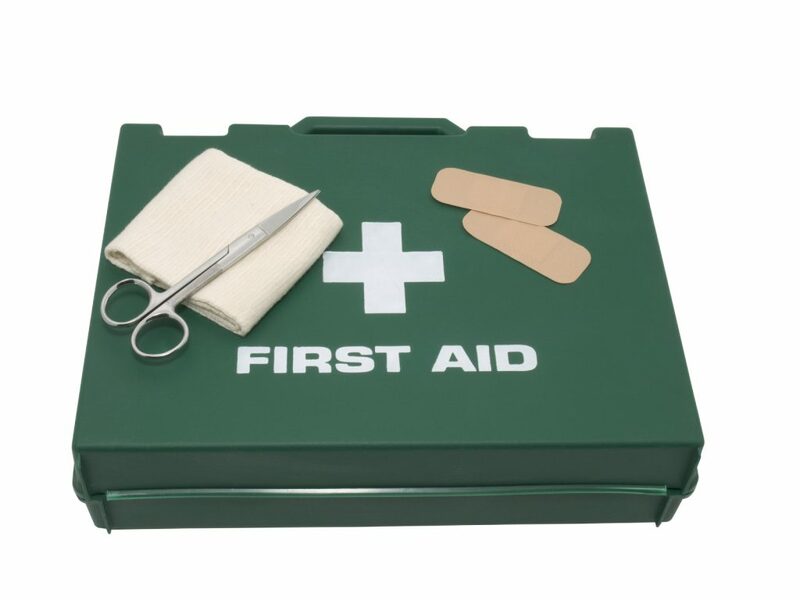 Off the shelf first aid kits usually contain basic staples that should be included in all first aid kits, however, it’s important to recognise that different circumstances require different first aid kit items. Just as you would pack different clothes for a camping trip as you would for an overnight business conference, your first aid kit also needs tailoring to the occasion! 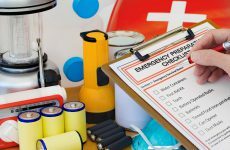 Let’s start with basic essentials which should be in every first aid kit, then we’ll take a look at how to tailor your first aid kit to different circumstances. Latex gloves to act as a barrier against blood borne pathogens (also spares in case they tear or are punctured). Sterile gauze pads for cuts and grazes – in a range of sizes. When planning a hiking trip first aid kit start with the essentials listed above to ensure you have the basics. Tongue depressors: These are also useful for splinting fingers and toes. Adhesive bandages: These can be used to hold dressings in place, or to secure a make-shift splint if you do not have a medical one. Medical splint: For immobilising sprains. Tinfoil exposure blanket: Can be used for warmth and shelter if unexpectedly stranded and need to wait for help to reach you. Tinfoil blankets can also be used to treat shock and hypothermia. If hiking with a group also include a list of participants on the trip with their phone numbers and details of any allergies and prescription medications they may be taking. Always take a cell phone with you, ensure it has credit and a full battery when leaving home. As always, when tailoring your first aid for your car, start with the basic essentials as well as the additional items from the hiking kit. This gives you a good solid base from which to add more driving specific items. Foam neck collar: Used to immobilise the neck and prevent further spinal injuries. Automatic External Defibrillator (AED): If available, for unresponsive victims. Always ensure you have your phone with you when driving. Although not a first aid kit item, an emergency warning triangle which can be placed in the road to warn other vehicles of a hazard ahead is an invaluable piece of equipment. If you’re planning a day out on the dive boat, or even a day out taking part in other watersports, a first ad kit is a must have. 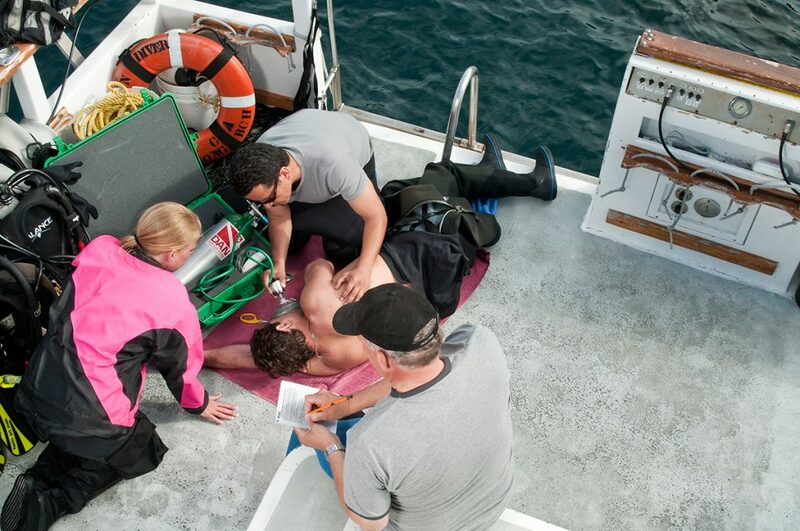 When making any dive trip, make sure that dive boat has communications systems on board (either a phone or marine radios) and is able to call for emergency help should an accident occur. Make sure you have a list of all participants, together with details of any pre-existing conditions and medication they are taking. Emergency breathing oxygen: This should have both a demand valve for divers who are breathing and a continuous flow option for non-responsive divers. 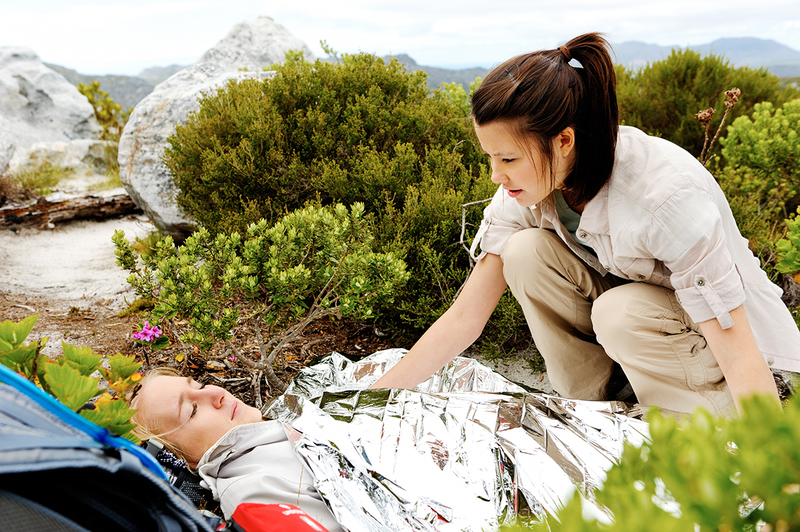 Tinfoil exposure blanket: Can also be used to treat shock and hypothermia. The first aid kit which you keep at home should be your “master first aid kit”. It should really contain all items from the basic essentials list, hiking, car and dive boat lists (with the exception of emergency oxygen). 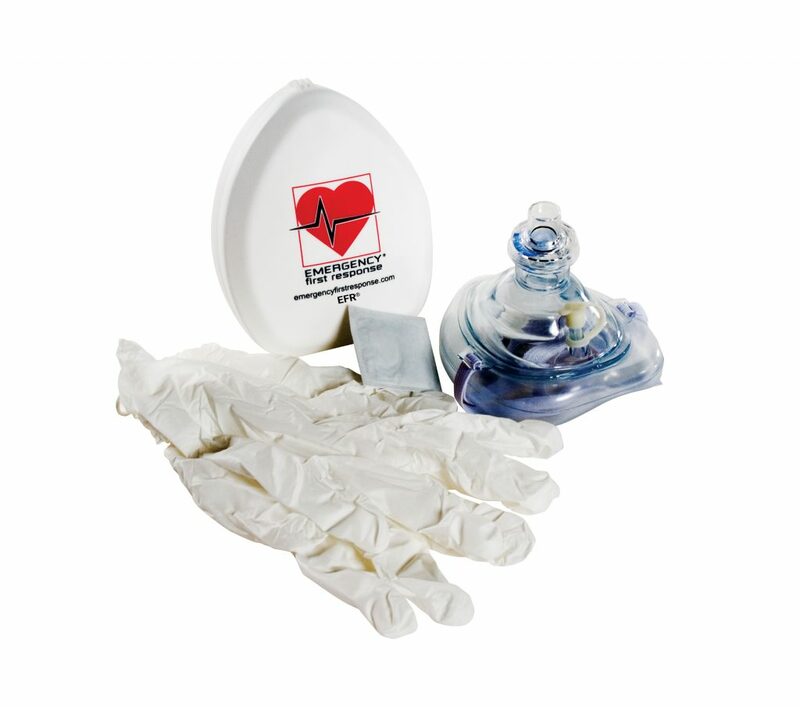 The primary use of this first aid kit will be for treating your family so it can be personalised to your needs. Take into account any individual needs which need to be catered for differently, for example if you have young children you may want to include sun lotions or Paracetamol suitable for kids. Likewise, any elderly people residing with you may also have additional needs. Contact details for your local hospital and family practitioner. When dealing with first aid kits it’s important to follow a few general guidelines to ensure that your first aid kit stays up to date, in good condition and ready for use in an emergency. Storage: Keep your first aid kit in an easy to access place and ensure everyone in your home or on your trip knows where to locate it. Ensure it is stored in a dry area (if on a boat) and out of direct sunlight. If you have very young children at home or on your trip, store your first aid kit out of reach. Medication: When stocking your first aid kit with medication always check that all medication is clearly marked and is within the use by date stated on the packaging. Keep any directions for use / dosage with the medication. When administering medication, always make a note of the amount given, time and symptoms. Re-Stocking: Keep a “shopping list” of all items contained in the kit and mark off whenever you use items. Ensure you restock items before they become completely depleted. Regular Practice: Take time to regularly practice first aid kit use with your family. Use your first aid kit and identify which items can be used for which purposes – this can be a fun game to play with children too! Get Trained or Refresh Your Skills: Take an Emergency First Response Course with your family and friends (or refresher if you are already certified). 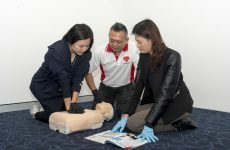 This will bring your skills up to date and you’ll be able to practice your CPR skills on a CPR mannequin. To find out more about first aid kits, to purchase essential items or learn how to safely and confidently help someone in need check out the Emergency First Response Course Finder here.